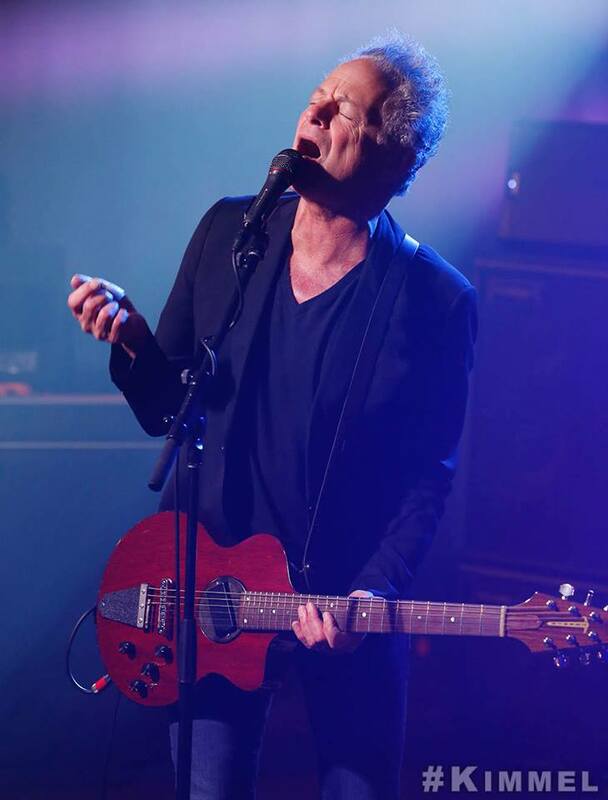 Lindsey Buckingham performed his debut 1981 solo single, “Trouble”, on ABC-TV’s Jimmy Kimmel Live on October 1. Due October 5, the career-spanning set includes a pair of previously unreleased tracks, “Hunger” and “Ride This Road”, as well as live versions of solo and Fleetwood Mac hits. The late night appearance also saw Buckingham deliver “Soul Drifter”, from 1992’s “Out Of The Cradle”, as an online exclusive. Following his split from Fleetwood Mac earlier this year, the rocker will kick off an extensive North American tour in Portland, OR on October 7. Every ticket purchased online will include a CD or digital copy of the single-disc version of “Solo Anthology” (note: this promotion is not valid for the concerts in Wilmington, NC and New London, CT).